PARENTS have been warned that a drowning may soon happen at the Orion Lagoon if they don't share the responsibility for guarding over their children. 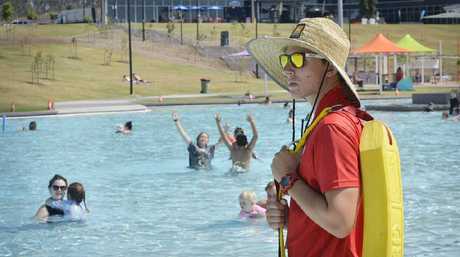 Within one month of the Ipswich lagoon's opening, life guards have sprung to action more than 100 times. The "water based interventions" include warnings on behaviour, along with young swimmers out of their depth and rescues but most alarmingly, children swimming without adult supervision. Police were involved in one incident where a child under nine was ordered out of the water after they were found unsupervised. Police located the parent at Sunnybank, reportedly shopping. In another incident captured on Safe City cameras, life guards rescued a child who was struggling, brought the child to the parent and warned them about lack of supervision, only to see the child return to the water unsupervised. Safety warning to parents: Head lifegaurd at Robelle Lagoon Sean Dix. Ambulance crews have been called to Orion Lagoon on three occasions in the past month, one being a fall outside the water. The other two incidents were precautionary ambulance call-outs after rescues. 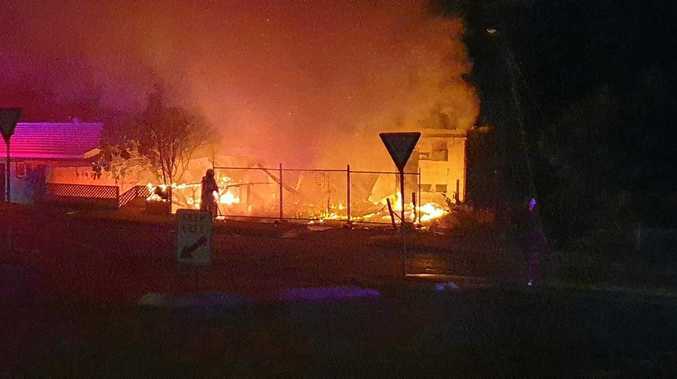 The facility attracted a staggering 55,000 visitors during the first month, but the number of incidents prompted council to issue a warning to parents. Council's Parks, Sport and Recreation Committee chairman David Morrison said the lagoon managers Australian Crawl rostered more lifeguards than required under the Royal Lifesaving guidelines with a roster of 70 staff on call to cover peak periods. Up to 15 lifeguards at any one time are on patrol from 5am to 9pm.and there is 24-hour surveillance. Police, council officers and security guards also patrol the lagoon and there are several safe city cameras in the vicinity. "The message is supervision," Cr Morrison said. "Lifeguards are not there as child-minders. They are there to ensure public safety within the water but they are not there to supervise children. "The lifesavers are doing a fantastic job. There is no question about that. The facility is going as planned. There are lots of people from this city and other cities embracing it and loving it. "Life guards, police, security, council, we're all here to keep you safe, but we need you as parents to play your part. "Drowning takes a second, the memories last a lifetime." At the official opening of Orion Lagoon Laurie Lawrence used the opportunity to stress the importance of supervision, not only by lifeguards but parents. "Water is life saving liquid, it can quench thirst and quell, but quick as a wink it can bite back and kill. "If you've got a child under the age of five supervise them at arms length. You can't expect the lifeguards to have eyes in the back of their heads."